Goldcoast Ballroom & Event Center | Goldcoast Ballroom 2019 Summer Showcase!! - June 15, 2019 - Reserve Now!! -- And Sign Up to Dance!! 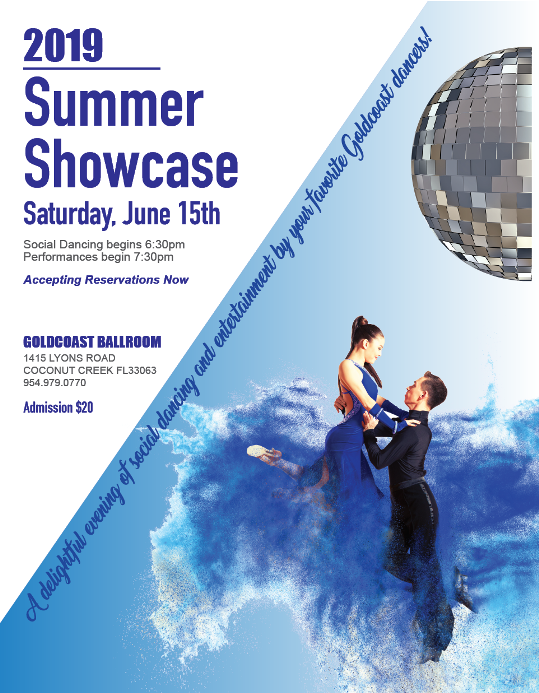 Goldcoast Ballroom 2019 Summer Showcase!! - June 15, 2019 - Reserve Now!! -- And Sign Up to Dance! !